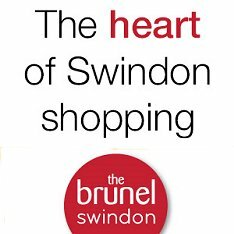 If you prefer your shopping 'Out of Town' then Swindon more than caters for you. From north to south, east to west, all with plenty of parking and plenty of big names, there's simply no where better. Quality fresh flowers for all occasions in Highworth, Swindon. A stunning selection of wedding gowns plus a full dressmaker service, bridesmaid dresses & more with bridal boutique in Highworth nr Swindon. Charity providing health related support to the patients of two GP practices in Fairford and Lechlade. Charity shop in Lechlade. Freshly grown organic vegetables delivered straight to your door + farm shop open daily. Situated at the ‘Gateway’ of the Cotswold Water Park, Relish at the Gateway Cafe is the ideal venue for breakfast, lunch and afternoon tea.